The issue has resulted in speculation that the two leading figures in German politics may have fallen out over the party’s new identity. Ms Merkel informed Annegret Kramp-Karrenbauer at the 11th hour that she would not travel to Munster to open the CDU campaign for May’s European elections with her, ‘Welt am Sonntag’ newspaper reported yesterday. The last-minute snub is a major embarrassment to Ms Kramp-Karrenbauer, who had already informed party colleagues that the chancellor was to appear, and ordered corresponding security measures to be taken. It is just the latest in a string of rebuffs from Ms Merkel to the woman once labelled “mini-Merkel” who succeeded her as party leader at the end of last year. The chancellor has reportedly informed her heir apparent that she will not take part in any future political campaigning, even as the party faces key state elections in the autumn. She has also turned down invitations to a series of policy workshops that Ms Kramp-Karrenbauer organised in a push to reconnect the party with its grass roots. 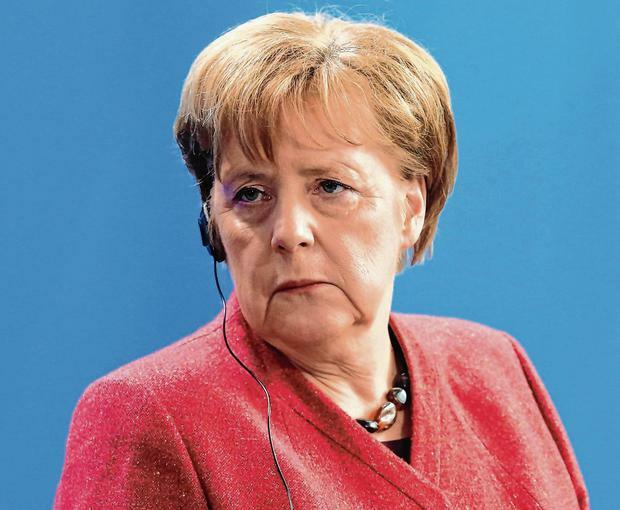 Party insiders insist that Ms Merkel made it clear months ago that she would step back from party engagements in order to allow her successor to grow her public profile. But Ms Kramp-Karrenbauer is said to be bitterly disappointed at the latest snub, fearing it sends a signal that Ms Merkel is disgruntled with her more conservative style. Ms Kramp-Karrenbauer has steered the party to the right on issues such as asylum and gay rights since taking over as chairman. She has also courted the chancellor’s long-time rival Friedrich Merz, a pro-business conservative to whom she has reportedly offered a ministerial role in the post-Merkel era. Ralf Stegner, the Social Democrats deputy leader, claimed on Twitter that Ms Merkel’s disappearing act is down to “disputes over political direction and party personnel”. The chancellor is set to appear at the final hustings for the European elections in Munich in May.